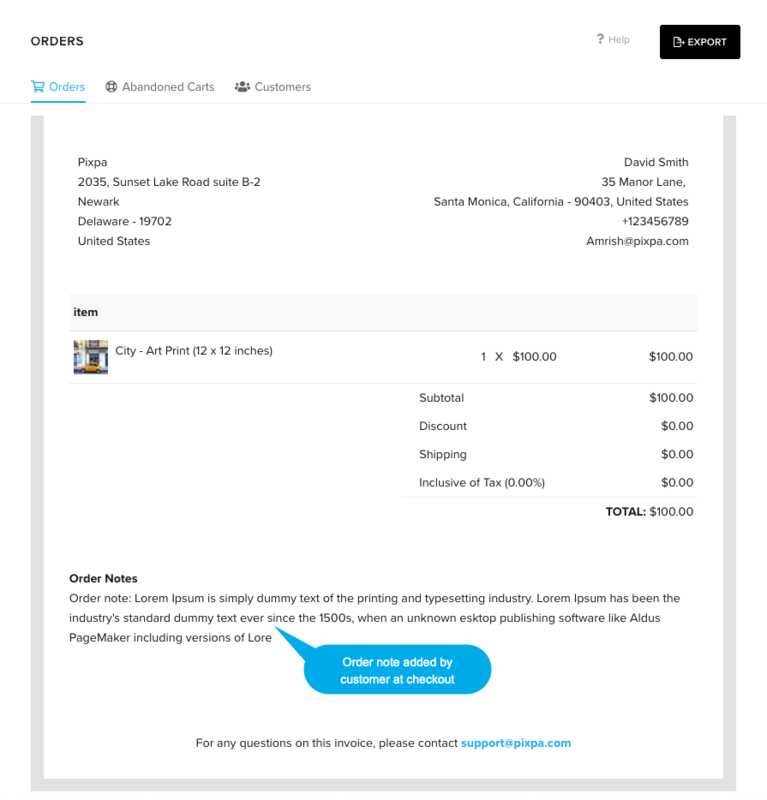 It’s easy to manage order processing in your Pixpa Store. 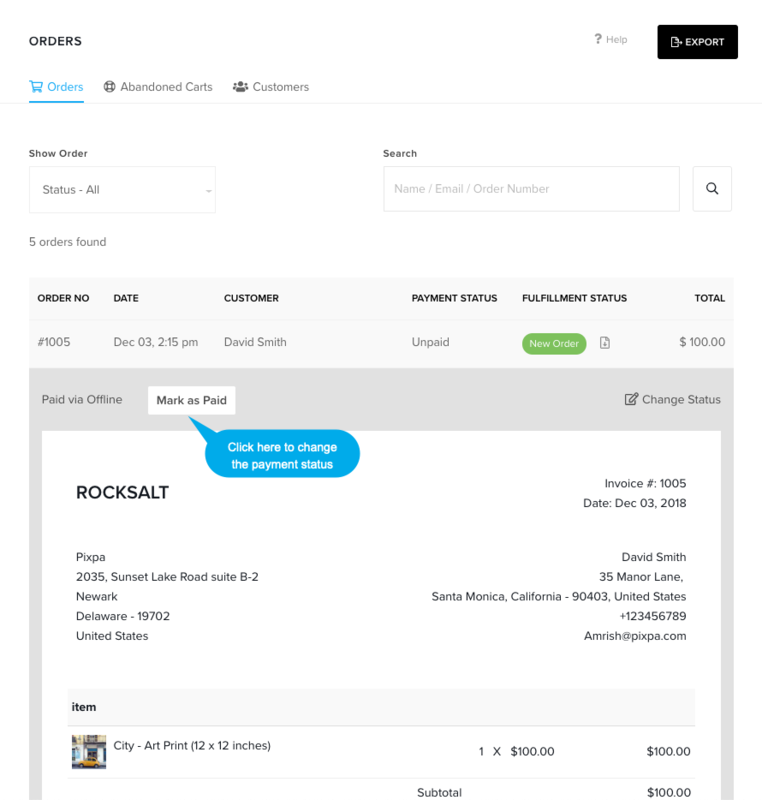 You can share the order update, tracking link etc with the customer from Pixpa studio only. In the Store section, click on the Orders link on left hand side. On this page, you would see all the orders. 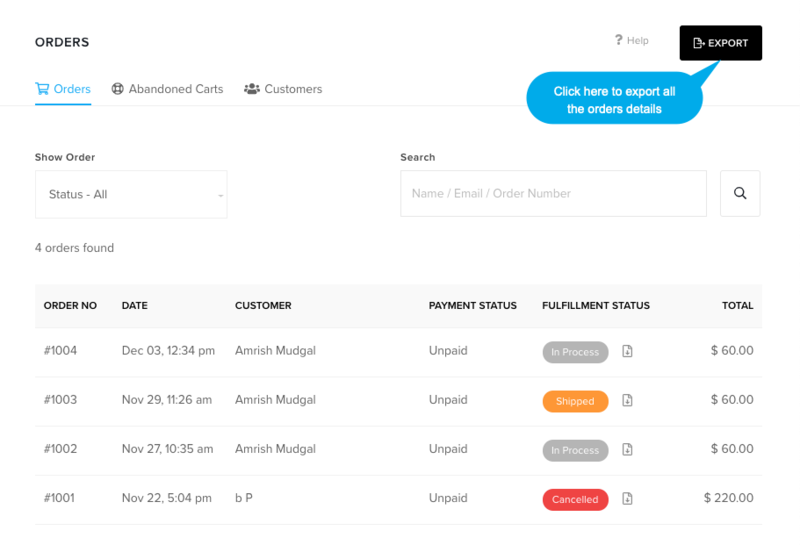 You can filter the orders on the basis of order and payment status (1). Plus you can also search (2) any specific order with name, email, order id etc. The orders have 4 status. You can process the orders by changing the order status. New Orders – When a new order comes in, it has the New Order status. In Process – You can change a New Order to an In-Process order once you start processing the order. 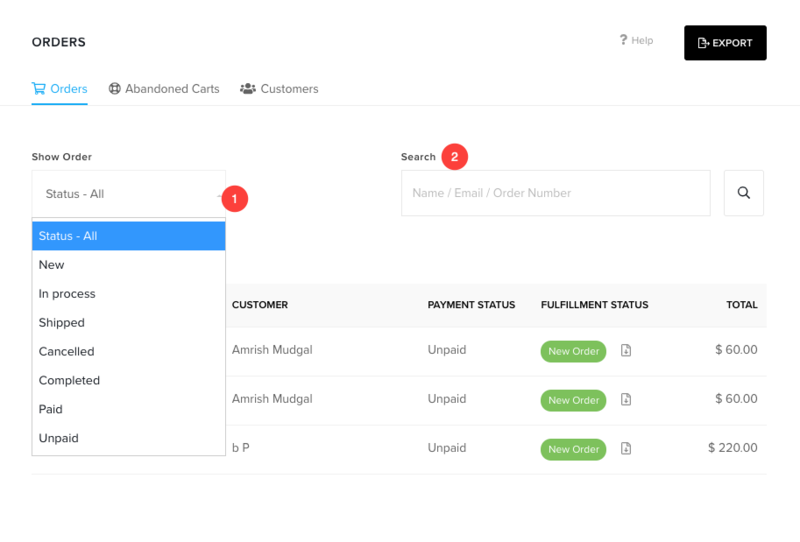 Shipped – Change the state of In-process orders to Shipped after you have shipped the order. Include the shipping and tracking information in the notes area. Cancelled – Change the state of any order to Cancelled if the order is cancelled for any reason. Include details about returns, refunds or exchange in the notes. Tip: You can add notes when changing the state. An email including your notes is sent the customer when the state is changed. 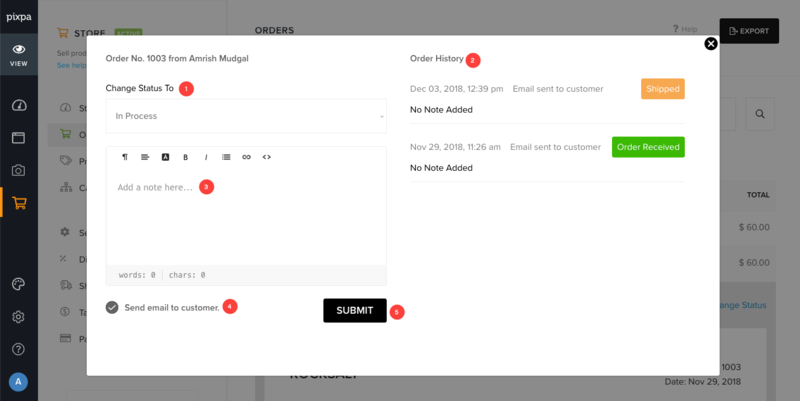 Click on any order row to view the order details. Click on any order row, you would see the change status button on right side. 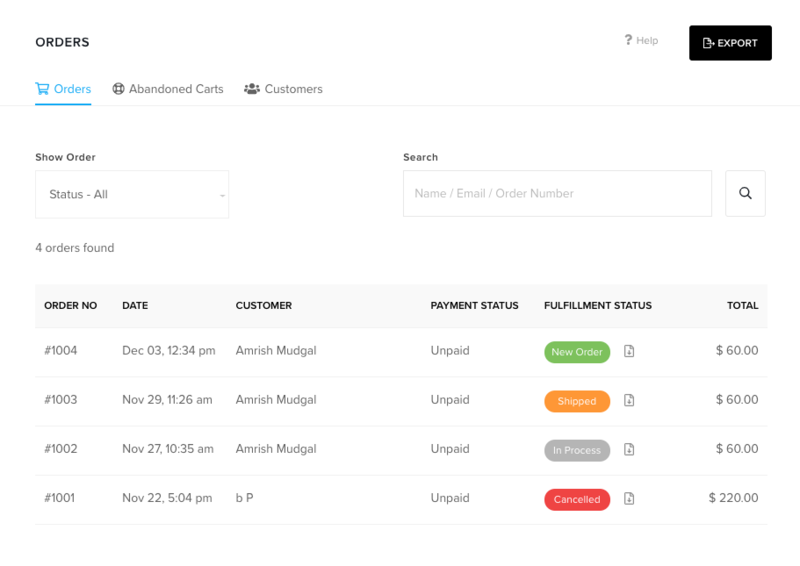 On clicking on change status button, you would see a popup where you can change the status with processing info like tracking number, processing note, shipping delays, cancel note etc. Change Status To: You can choose the status from here. Order description: Add status info here. You can add link as well. Click here to know more. Order History: You can see all the activity regarding particular order. Send email to customer: You can choose whether do you want to send a notification or not. Hit submit button to save the information. 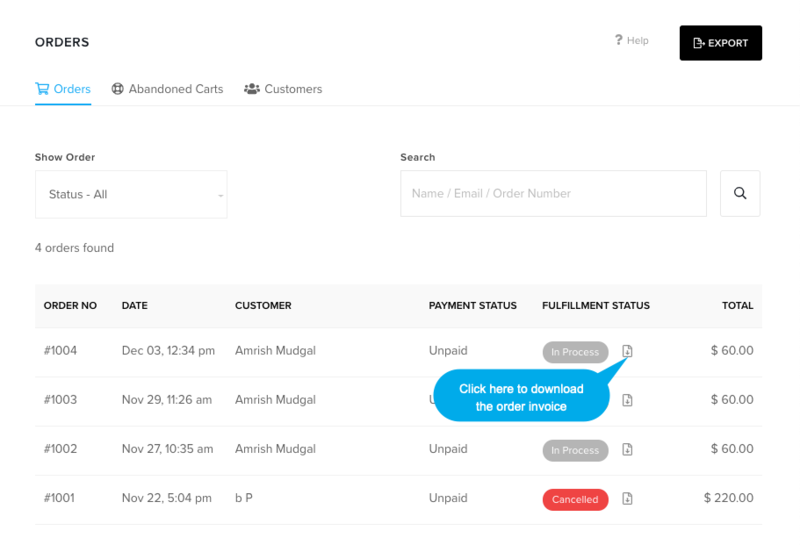 Click on any order row, you would see the payment status button on left side. If the order is processed by offline payments, then the customer would not be able to download the digital assets until you confirm the payment and set the order status as paid in here. Click on the download icon to download a PDF invoice for that particular order. You can easily export the order from right top export button. 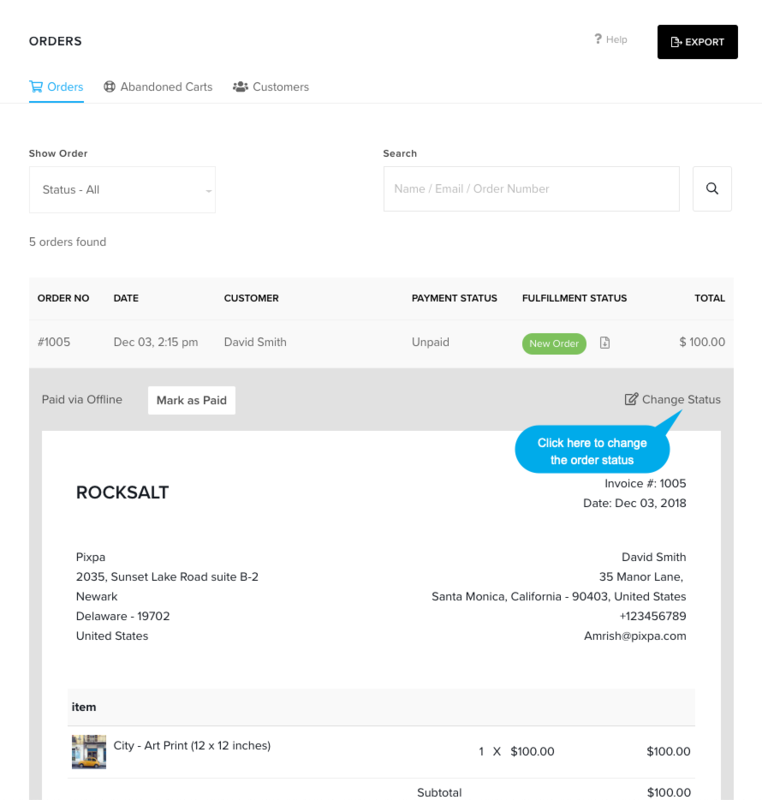 Click on any order row and scroll down the order detail page, you would see the order note if the customer has included any notes with the order.